Posted on June 8, 2016 at 12:00 pm. If you want to be a great actor you need commitment. Sounds simple, right? But what does it actually mean? For most truly great actors, commitment is about really immersing yourself in a role, finding a way to stop “acting” and start giving the audience something real. That means not having to pretend to feel the emotions required by the script, but actually being able to feel them on demand. This is the goal of method acting. Method actors often go to extreme lengths to find the right headspace for their characters. They will put themselves through the same experiences their character goes through so that they don’t have to pretend to know how their character feels – they will have lived it. This sort of commitment to character is what separates so many elite actors from the rest, which is why it’s not surprising that over 80% of Oscar-winning actors this century have been method actors. The following are just some of the most famous examples of actors going the extra mile to really inhabit their characters. If you want to up your acting game and kick-start a professional acting career, you could do a lot worse than following their example. Mickey Rourke’s performance as tragic villain Ivan Vanko in Iron Man 2 is one of the most memorable things about the film – not a bad achievement when starring opposite the ever charismatic Robert Downey Jr.
Rourke’s character starts the film having spent years in a Russian prison, so what did the actor do to prepare? He went to Russian and spent time in a prison himself. Now, an actor of Mickey Rourke’s standing does not need to spend time in a Russian prison in order to get roles. The reason he does it so he doesn’t have to pretend, he doesn’t have to use his imagination, he’s “been there and done that”. Natalie Portman won the Academy Award for Best Actress for her role in Black Swan playing an elite ballet dancer who slowly loses her grip on reality. Portman prepared for the role with over a year of ballet training, including spending 6 months training 5 hours a day, six days a week. You are constantly putting your body through extreme pain, so you get that understanding of the self-flagellation of a ballet dancer. As noted, Portman’s commitment paid off and she was rewarded with an Oscar for her efforts, earning herself a renewed respect both within the industry and with the public for her acting abilities. Robert De Niro has had many memorable roles over the years, but one of the first that helped to cement him as Hollywood royalty was 1976’s Taxi Driver. For his role as the eponymous taxi driver, Travis Bickle, De Niro prepared by working 12-hour shifts as an actual cab driver in New York. This is just one example of the lengths De Niro has gone to over the years for his craft – a level of commitment that has earned his 2 Academy Awards and a further 5 nominations. Robert De Niro’s ability to truly become his characters is why he is one of the most successful actors working today with his most recent Oscar nomination coming in 2012 for Silver Linings Playbook. Anyone who’s still getting that kind of recognition 38 years after their first Oscar win has to be doing something right! And this is the kind of consistency you can achieve with method acting. How many people can say they’ve put in two Oscar-winning performances by the time they turned 30? Hilary Swank is one, having won the Best Actress Oscar for both 1999’s Boys Don’t Cry and 2004’s Million Dollar Baby. Although her preparation for Million Dollar Baby was gruelling, it was the work she did as the transgender Brandon Teena in Boy Don’t Cry that really made people sit up and pay attention. In preparation for the role Swank spent months going out disguised as a man to get as close as she possibly good to experiencing what it’s like to enter the world as a transgender person. It really showed me how much we use our identity and our gender to communicate. Daniel Day-Lewis is one of the best known method actors of our time and with good reason – he really knows how to commit to a role. The tales of the extremes he goes to in preparing for a part are legendary, but perhaps most amazing is how we went about getting into character for Last of the Mohicans. Day-Lewis spent 6 months living alone in the wilderness in Alabama tracking, hunting and skinning animals for food. Supposedly the actor was so committed he refused to eat anything he hadn’t killed himself as he didn’t want to undermine the authenticity of his preparation. This dedication to character has earned Daniel Day-Lewis the Academy Award for Best Actor 3 times, a feat no other actor has yet achieved. With his first Oscar coming for 1989’s My Left Foot and the most recent for 2012’s Lincoln, Day-Lewis is another actor who proves that method acting provides a formula for long-term acting success. 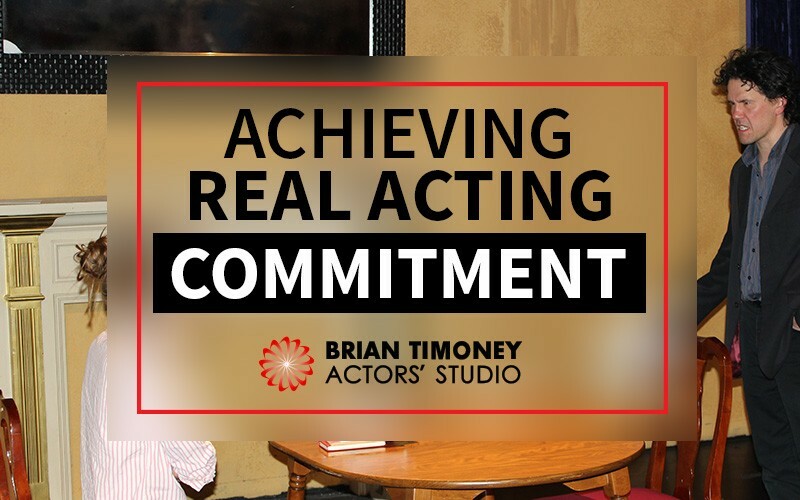 Want to know how to achieve real acting commitment? 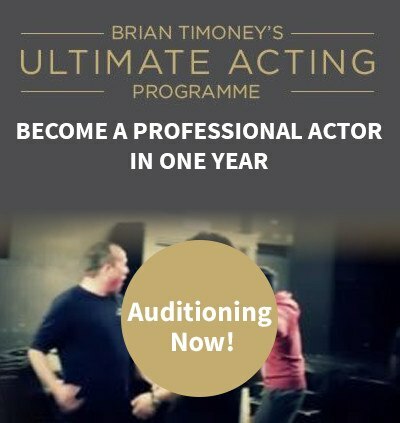 Our One Year Ultimate Acting Programme will teach you the attitude and skills you need. The course starts in October and the deadline for applications is 8th June with auctions taking place on 15th June. There are only 16 places available, so don’t delay as we are always inundated with applications each year. Need to find out more? Please feel free to get in touch.